Place: The Presentation School Foundation Community Center, 640 Washington Street. PSF volunteers will help with children during the film. LOCAL FOOD: IS IT HEALTHIER? IS IT BETTER FOR THE ENVIRONMENT? WHERE TO FIND IT? Place: The Presentation School Foundation Community Center, 640 Washington Street. The event will take place in a community room on the building’s lower level. SATURDAY, JUNE 14TH FROM 7:00 TO 11 PM. Common Boston (commonboston.org) Is a volunteer organization of the Boston Society of Architects. Our mission is to open up Boston in celebration of architecture and design in our neighborhoods, generating dialogue between designers and the public to create more sustainable, equitable, and vibrant communities. Join Common Boston for a walking tour of the old and new Charlesview, an affordable housing development in North Allston, whose story is an important part of ongoing development efforts that will continue to shape the neighborhood for years to come. "The Boston Redevelopment Authority has retreated from a plan to review an $80 million proposal to transform the shuttered Cleveland Circle Cinema in Brighton amid vocal opposition from neighborhood groups." Responding to residents’ request for a daycare/preschool, Community Builders reached out to Pine Village in November, which is a Spanish-immersion preschool with eight locations and 400 children in the Boston area. The preschool will occupy the westernmost space in the Charlesview property, with an estimated 4,200 square feet and space for 60 children. They expect to open in early September. "Twin Donuts, a 1950s-era landmark and long-serving restaurant in Allston’s Union Square, will undergo a major face lift this spring"
The owners of several properties in Allston (including the historic Pizzeria Regina building) are proposing this $7 million new building on Cambridge Street on the site of Do Re Mi karaoke. Join Zach Conrad for a discussion from 7 to 8 pm focusing on the debate over organic food versus food containing genetically modified organisms (GMOs). Some say that organic food is healthier and better for the environment, while others argue that GMOs are necessary to feed the world. As consumers, how can we make sense of this debate so that we know what to buy at the grocery store? Zach Conrad is a researcher on nutrition and agriculture at the Friedman School of Nutrition Science and Policy at Tufts University. "An Interactive Discussion on Vibrant Communities, featuring panelists from the City of Cambridge, NB Development Group, the Charles River Conservancy, Allston Village Main Streets and more! Please join Common Boston in kicking off our 2014 programming with a very special event, the CB Forum! This interactive conversation will be framed by our theme "The Places In Between" and focus on our two Common Point neighborhoods– Kendall/MIT and Allston-Brighton. We'll chat with local residents, students, designers, business people and community leaders about what makes for a vibrant community from their perspective. Audience Q&A to follow." It's on the Charles River. It's flanked by Cambridge Street, Soldiers Field Road, and Interstate 90. It's where traffic (everything really) comes to a complete standstill. It's the home of the 2024 Boston Olympics: Allston, Massachusetts. That party, thrown last September, earned its four alleged hosts, all Boston University students, one charge each of keeping a disorderly house. They were put on pretrial probation, police said, and were told that if they stayed out of trouble, all would be forgiven. But four months later came the second party. When police arrived around 1 a.m., partiers slammed the door in officers’ faces and locked it, police said. Scores of people, many underage, began pouring out doors and windows. When police did get in, they found more than 1,000 beer cans. Partygoers at the January bash told police that the house was used by a BU fraternity, “Z.B.T.”, according to the police report. The fraternity president declined to comment Thursday. Boston University spokesman Colin Riley said he could not comment on individual students. “We expect our students to be good neighbors and respect the laws,” he said. Frosty reception to Boston Skating Club’s proposed $50M facility - Boston Business Journal: "Proponents of a $50 million facility for the Boston Skating Club faced an icy crowd on Tuesday night as residents of Boston’s Allston-Brighton neighborhood balked at the planned three-rink development on Lincoln Street, less than a mile from the existing rink." 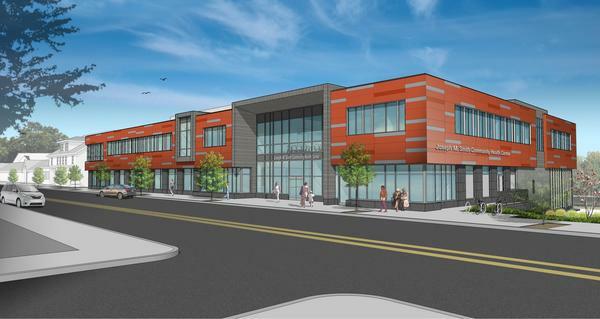 New health center coming to Allston-Brighton - Boston Business Journal: "The Joseph M. Smith Community Health Center in Boston’s Allston-Brighton neighborhood has secured an $8 million New Markets Tax Credit that will help finance its new health center." Left unsaid is how Harvard would like Allston to feel for people who live here. "Healthy Food and Nutrition: Local Food: Is It Better? Come hear Zach Conrad discuss whether locally grown food is healthier than other food and whether it is better for the environment. The discussion from 7 to 8 pm also will focus on how to find local foods. Zach Conrad is a researcher on nutrition and agriculture at the Friedman School of Nutrition Science and Policy at Tufts University." The event will take place at the PSF Community Center, 640 Washington Street, either in the recently renovated New Balance Community Room or the Little Sprouts Community Room for Budding Scholars. Both rooms are on the lower level of the community center. Parking is available and the PSF Community Center can be reached by taking the 57 or 64 buses to Oak Square. "New Balance, which is building a new $500 million headquarters complex in Brighton, added to its property holdings there this week with the more than $10 million purchase of another Guest Street property. The Hub athletic footwear and clothing company bought the approximately 2.5-acre property at 125 Guest St., the site of a reprographics company." The Allston Construction Mitigation Subcommittee met on this past Monday (1/6) to discuss issues related to the Barry's Corner development. Several community members attended to ask questions and express concerns about construction worker parking, truck routes through the neighborhood, rodent control plans, and the City's permitting process for hours of operation. Good information was shared by the developer, but many questions remain and new issues were raised that will require additional follow-up. The next meeting of the subcommittee will be Wednesday, January 22, 2014 at 6 p.m. in the Honan Allston Branch Library. These meeting are important to continue to ensure neighborhood involvement in the Barry's Corner construction. All are welcome. Please join us. If you have any questions, feel free to contact me at kotonjl@aol.com. Allston Rock City Hall, the new performance hall named for its neighborhood’s longtime moniker, is almost set to, well, rock. Here’s a peek inside the space when it’s all shiny and new, before it’s covered in sweat and blood and whatever other liquids go along with rock and roll. "The grungy old industrial garages and warehouses that lined two blocks in Allston have vanished. In their place: 200 new, luxury, ecofriendly apartments, 100 more opening soon, with one-bedroom units going for up to $2,100 a month. The tenants include doctors, lawyers, and computer engineers." Great story in today's Globe by Paul McMorrow about the potential of the now-empty rail yard. "BEACON PARK Yard is as forlorn a place as there is in Boston today. The old Allston rail yard — sandwiched between the Massachusetts Turnpike, the Charles River, and Boston University — used to be a major freight hub for CSX. That was before the shipping giant pulled up stakes last year and traded Allston for a new freight terminal in Worcester. Now the Harvard-owned yard sits in silence, a maze of rusting railroad sidings sprawling over 140 acres of concrete, covered in a tangle of Turnpike lanes, ramps, and tollbooths. It’s a desolate place. But it also could become the site of Boston’s next great building boom." "Former state representative Brian P. Golden was appointed acting director of the Boston Redevelopment Authority this afternoon in a surprise announcement e-mailed to staff by Mayor Martin J. Walsh’s new administration. Golden represented Allston-Brighton in the State House from 1999 to 2005, overlapping with Walsh’s time in the House. Several years ago, he was appointed to the post of BRA executive director." Clarification: contrary to initial reports, this is not an appointment per se; this is a procedure set in place by law to give the person in Golden's position authority at BRA while the director position is unfilled.